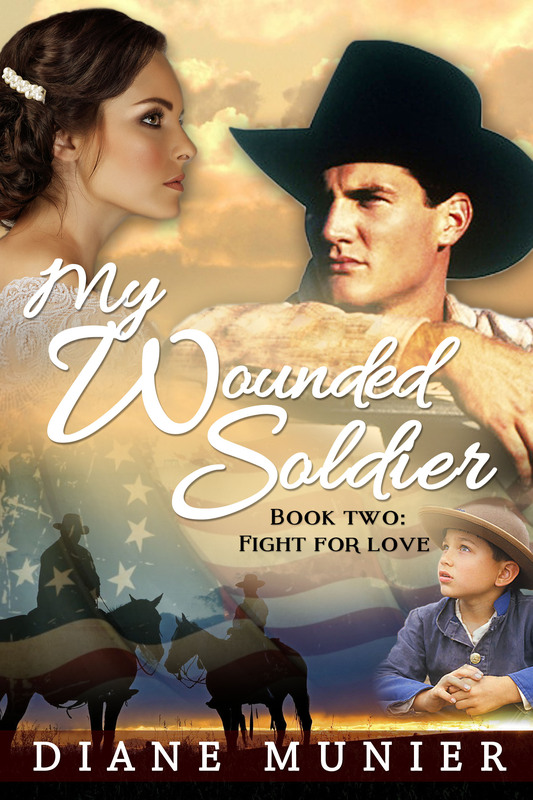 My Wounded Soldier, Book Two: Fight for Love Is Live Today!!! In Celebration, Book One, Fight for Glory, is 99 Cents!!! Book Two goes live today! To celebrate I am offering Book one at 99 cents. I wrote the My Wounded Soldier series over twenty years ago. For the past fifteen years I have rewritten it numerous times. Uncountable times. On its long journey it has garnered several literary awards. But I kept hearing the main character, Tom Tanner’s voice. He kept speaking, telling me what it was like to come back to the farm after fighting in the war between states. He came home and fell in love. But his re-entry into normal life was not easy. When the glory trail rose up once more, who better than him to answer its call. So I kept rewriting. My last effort, the current one, I rewrote without going back to the source material. Finally I broke free enough to know I had done the best I could. When I sent it to New York it caused quite a stir. When the publishing deal fell through due to a reshuffling in the big house I turned to self-publishing and left the many years of dashed hopes behind. Tom Tanner is a man with something to say about his life…about yours. Step into this story and let him sweep you into his world. I am proud of this work. Hope you enjoy it.